Kherblog is a place where you can learn about natural ingredients and skincare routine or find reviews on cosmetic products. I guess that foundations became products that we all have in our makeup bags - they come in different forms and shades. BB Creams became very popular but cushions? I barely ever see western brand releasing a cushion foundation - L'Oréal tried, Dior also made a cushion but none of them worked for me. How to choose an ideal cushion and are they really worth it? There are different types of cushions that you can find but I guess the easiest way to band all the cushions is by their purpose - makeup cushions and sun cushions. Makeup cushions are easy to determine while sun cushions are totally new in Europe - it's a cushion filled with sunscreen. It makes sunscreen reapplication easier and it's very portable. Makeup cushions can be banded in different groups - microfoam cushions and pumping cushion. Microfoam cushion has a foam filled with the formula inside while pumping cushion is a cushion where the formula is hidden under a plastic or metal disc with small holes - Skin79, VDL and Estee Lauder had cushions like that, but I don't know if they still release this type of products. There are also foundations in cream that look like the cushion but I'm not going to focus on them since usually, we use them not as a foundation but a camouflage. How does the cushion look like? The cushion has one or two parts - cushion case and refill or a case with the built-in refill. Each case usually has a built-in mirror. The refill contains filling - (usually) a microfoam filled with formula in a plastic case and air puff on the upper lid of this plastic case. When you buy a cushion there are two things to remember about - refills and air puffs. Refills are the containers with (usually) a microfoam and formula. They usually have air puffs together with a refill but not every cushion has this option. Refills are cheaper than cushions and usually, it's better to go for refill option. Normally, each refill contains air puff but you can buy puffs separately - I recommended that if you're a makeup artist or you're allergic. Makeup artists can use this type of puffs on their fingers when they put makeup on the client or model to not mess up the makeup while putting makeup on eyelids or lips. There are also refill sets with liquid formula - Klairs based its cushion on this type of refill. How to make more out of the cushion? This trick is well known - sometimes it's good to change the side of microfoam to get more out of it. Is it safe for the skin? Are cushions safe for the skin? Yes, they are! It's like asking if foundation brush or beauty blender is safe - al the cosmetic accessories should be cleaned and disinfected. Some puffs can't stand water and soap/shampoo and cleaning the puff this way might be a bit tiring so it's good to use disinfectant. There are substances based on isopropyl alcohol, Sephora also has such solutions as well, 70% formulas are better than 99, 9% ones (it's all about bacteria and chemistry, there's a nice article telling why 70% is better than 99,9%). Asian cushions have usually a very limited number of shades - sometimes 2 or 3 shades, sometimes there's one universal colour and some brands make 5 or even more shades. I'll focus on that while showing you some cushions I've tried before. I've got a love-hate relationship with A'pieu's cushions. I own two cushions from this brand, each one is the same cushion but in different limited edition version - I've written about Wonder Tension Pact in Marymond version, so 2018 version was made in collaboration with daily like - a brand which I know for stationery, I use their planners which I actually got from local store. Besides amazing packaging, the formula is very creamy and not the best for oily skin but it covers blemishes well. It's not a long lasting cushion but somehow I liked it more during the summer than winter even if I had to check it all the time and I used it with mineral water. This cushion has only two colour options - #21 and #23 and each of colours has finishing options like the moist, perfect cover or madecassoside (which is not finishing but more like an ingredient with a special task to do). It has refills. I used two different versions of Black Magic Snow Cushion, now April Skin released 3.0 version which I plan to buy because this cushion is one of my favourite. I get it thanks to BB Cosmetics and it was actually my first cushion and I post the review of it before. The colour fits me well, the formula hides blemishes well and it works longer on my skin than A'pieu. You can get refills but I usually get the full cushion because it's not that expensive and some shops have good prices on this cushion. Do not expect this cushion to have many colour choices, it has shades #21, #22 and #23. All the shades are available on Stylekorean*. Klairs is known for products that fit all skin types but how one cushion can fit all skin tones? The answer is obvious - it can't! I posted a review of this one as well and it wasn't a positive review. This cushion looks cute, the refill option back then didn't exist but now it does still I'm not sure if I like this option since it's a bit too messy. Klairs BB Mochi cushion has one shade and it's more like shade #23 from other brands. It works better on dry skin than oily skin because on my combo skin it literally runs away from my oily face. It's probably the worst Klairs product I've tried. You can buy it on Wishtrend*. Actually, I didn't have too much option to try it because I've failed and I've ordered too dark shade but why I want to mention this brand is because they have couple cushions and each one has different finishing/fits different skin. I got the Pore Control version and this product has a huge choice - 10 shades, warm and cool shades. I bought 21 and that was a mistake because I should get 13C. C stands for Cool tones. There's even a darker shade called 37 Cacao which I guess might find fans but I wouldn't expect it to be very dark, still, it's one of the best colour range we can get from Korean brand. This option comes with a cushion and additional refill, you can buy refill which is way cheaper than cushion + additional refill option. You can find it on Stylekorean*. My experience with Missha's BB Creams and Cushions can be summed up in one word - Tragedy. I made a post about both before and my biggest problem with The Original Tension Pact Perfect which I got in Frida Kahlo edition is that it's heavy AF. It clogged my pores so much that after 8 hours I had around 20 new friends on my skin called pimples. It hides blemishes well but it makes even more harm to my skin than it hides. The formula is creamy and easy to transfer onto your clothes or fingers. 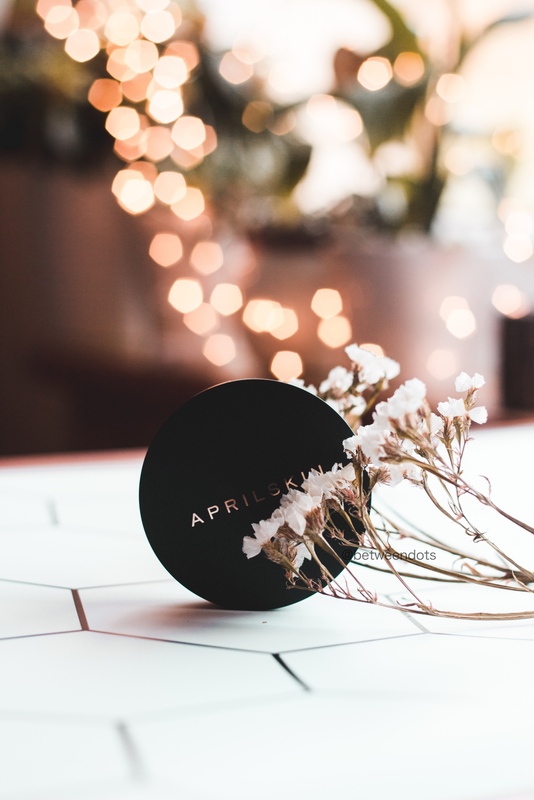 You can find a refill to this cushion and you can find different cover options like the perfect cover, intense moisture and more. Missha usually have 3 different shades #13, #21 and #23. Now there's a new cushion from Missha because Missha has a Glow series which who knows, maybe one day I'll give it a chance. I bought this cushion because of all the hype around it and I won't deny Moonshot Micro Setting Fit Cushion looks amazing. I guess the fact that this cushion was promoted by Lisa from Blackpink also helped the brand, I'm kinda crazy because while my teenage niece who's not that younger than me buys stuff because Justin Bieber is in the commercial, I'm buying a cushion because Lisa from Blackpink promotes it... You don't know how long is my list of stuff bought because someone promoted it. This cushion doesn't work well with my skin tone and my blemishes. I still use it at school because after makeup classes I need to cleanse my skin and I don't want to waste my favourite cushion but I really do not imagine using it every day. It's not as bad as Missha because it doesn't clog my pores but the shade and coverage are no. This cushion has two shades 101 and 201, the good news is that you can get a refill. Moonshot cushion is available on Stylekorean*. This brand is my latest discovery and I don't want to tell you a lot about it because the next post is going to be all about it. All I can say is that VDL became my favourite cushion and there's a long list of the reasons. I got VDL X Pantone 2019 Expert Tone Up Cushion. This product has two shades A02 and A03. It comes with an additional refill and yes, you can find refill on your own. I'll tell you more about it in the next post. Does a refill fit all cushions? Unfortunately, no. Sometimes if a brand has the same manufacturer or mother company like Missha and A'pieu refills can fit both brands but in A'pieu and Missha case - they don't. So it's always safer to buy a fresh cushion from a brand you want to try than buy refill only and try to fit it onto the case from other company. Same with air puffs - they can have different shades and sizes. I feel like women with darker skin tones are discriminated in general from the beauty industry - not only Kbeauty in terms of cushions and BB Creams or Foundations. Laneige has probably the darkest shade available, Innisfree and Missha also have some options but I guess they are a bit lighter. Amore Pacific offers shade 206 Amber Tan. There are western brands like Lancome or YSL that have a wider choice of shades. YSL Le Cushion Encre De Peau has 11 colour options and B70 is the darkest shade available. Lancome Teint Idole Ultra Cushion Foundation is available in 18 shades in total - unfortunately not in every place they have every shade but shade 555 Suede C is the darkest shade available. That's all for today. I hope I've encouraged you to try cushions. Do you use cushions or BB cream? What's your favourite? Before we start I need to share with you some information about the brand. I've mentioned them before while reviewing Urang True Rose Repair Essence. Urang was founded by Jina Lee and its quite a young brand since the official launch was in December 2016. The brand is focused on products for the entire family - especially people with allergies and atopic skin. You might not know but things like these are usually genetic and the entire family must adjust to a lifestyle of a person with allergy or atopic dermatitis. Urang makes cruelty-free products out of natural and organic ingredients. Majority of the products are vegan-friendly. What I love the most about Urang are glass packagings. Actually, Urang has some return policy in South Korea but if you live in Europe, the US or other countries then don't worry - Urang Rose Ceramide Cream jar is ideal for a small plant. The jar contains 50 ml of the formula and inside you can find a tiny spatula which is so adorable and useful. The packaging seems to be ideal but let's take a look at what's inside. You can expect that there are some organic ingredients and that you won't see here any PEGs or artificial scents and colourants. Instead of water, the base here is Rosa Damascena Flower Water. Seeing the ingredients I would say it's water in oil formula. You can actually see how much rose water was used in this formula - 33%. If you thought that you won't see clean Water here - there's clean Water as well but in a smaller amount than rose water. Caprylic/Capric Triglyceride is an emollient just like Glyceryl Stearate SE. The SE part of this ingredient stands for Self-emulsifying. My personal problem with this ingredient is that my skin doesn't like it, it's high in comedogenic rankings but even if such rankings aren't accurate my skin still reacts to it. Glycerin is a moisturizer which I'm sure you already know well, it's the most basic but also one of the best moisturizing ingredients you can use. Betaine is an amino acid but also a good humectant. Macadamia Integrifolia Seed Oil is a source of vitamin A and E. It leaves an oily feeling on the skin and when we look carefully we can find out that it contains more oleic acid than linoleic acid so acne-prone skin might have problems with it. Cetearyl Alcohol and Butyrospermum Parkii (Shea) Butter are both emollients. You might know Shea Butter because it's an emollient used mostly for dry skin and hair. It's also a base for body butters. Is there anyone who doesn't like ferments? If you don't like ferments then you won't be happy to see Saccharomyces Ferment Filtrate and Bacillus/Soybean Ferment Extract. Fermentation process makes huge molecules that can't get through the skin due to their weight tiny so they can penetrate through the skin and improve your skin from deeper layers of the skin. Ferments are amazing for different skin problems, they are used for acne prone skin, mature skin with wrinkles and dehydrated skin. They only shouldn't be used if you have fungal acne since yeast is like food for Malassezia. Cryptomeria Japonica Leaf Extract can be helpful with acne and inflammation but the next ingredient looks impressive. Nelumbo Nucifera Leaf Extract is also known as Sacred Lotus. Lotus in the skin are its told to be an antioxidant with moisturizing properties. It's also recommended for acne prone skin. Imperata Cylindrica Root Extract is a humectant. Cetyl Alcohol is good alcohol so don't be scared, it's actually an emollient with emulsifying properties. This formula is packed with oils like Jojoba Oil - oil that is very similar to sebum, Rosehip Oil is a source of vitamin E and Rose Flower Oil gives a scent but it also has antibacterial purposes. You shouldn't be scared, I couldn't smell it at all. Sunflower oil is an emollient. This formula contains Ceramide NP. Ceramides naturally occur in the skin but why we love Ceramides in skincare? Because it's positive for your lipid barrier especially if the barrier is damaged you should go for it. Would you expect that this cream contains Korean Pepper? I'm not kidding, Zanthoxylum Piperitum Fruit Extract is also known as Korean Pepper and it has antibacterial properties just like Pulsatilla Koreana Extract and Usnea Barbata (Lichen) Extract. It is not rare to see this combination together. The ingredients look amazing, the texture is like a white, quite a heavy cream with almost no scent - I can only smell some ferments in it because it's a typical scent. The jar contains 50 ml of cream which should be used in 6 months, it's nothing weird - usually, natural skin care should be used in 3 to 6 months. As I said the formula is quite heavy and oily thanks to Macadamia Seed Oil. In general, this product is full of oils that's why I guess it's water in oil type of cream. Such formulas are ideal for winter, dry and dehydrated skin. How about combo skin? I've got mixed feelings about this cream because it can save your skin when it gets dehydrated but after a couple days, my acne decided to freak out. It's a typical reaction of my skin to Glyceryl Stearate SE. I didn't get any allergic reactions but the acne is still a problem. So what can I do with such precious moisturizer? My body is horribly dry, not to mention that I've got lots of wounds on my legs thanks to my health problems. It was a great idea to try it on my legs and hands - especially elbows. Unfortunately, for me - I shouldn't use ferments on my legs and I still have to figure out what works the best for my legs so what I did was mixing Urang Rose Ceramide Cream with Tea Tree Oil. Combined together they do a great work moisturizing the skin but also protecting it from breakouts. If you buy a product that doesn't work on your face, instead of throwing it out think of the alternative option. Maybe it can work on knees and elbows just like Urang did. A small amount is enough to cover my legs, I use less of it than I used body balms. The formula is quite oily and easy to spread on the skin. If you have mature and dehydrated skin then go for it. I guess it might be a good gift for grandmothers - at least mine is a fan of Shea Butter and this formula seems to be even more effective in moisturizing than Shea Butter. Where to get Urang Rose Ceramide Cream? So where you can get this cream? I got it from Skinsider.co.uk which is an authorised Urang seller to test it and share an honest review with you. Urang Rose Ceramide Cream costs £35 for 50 ml and for natural and organic ingredients it's not a bad price since products like this can cost a lot. It's a product which I think works the best during winter - especially when you plan to travel to places full of mountains and snow or for dry and dehydrated skin with damaged lipid barrier. Acne prone skin should try Urang True Rose Repair Essence which I tested before. Have you ever tried Urang products? What's the most important thing for you in moisturizers? My experience with By WishtrendBy wishtrend is a brand which I know well, I posted before reviews of Green Tea And Enzyme Wash Powder, Mandelic Acid - which is actually the only AHA in liquid form that my skin likes, Vitamin C series - and my favourite vitamin sheet mask, TECA cream and now By Wishtrend released two new products - Acid Duo 2% Mild Gel Cleanser and By Wishtrend Polyphenol In Propolis 15% Ampoule. By Wishtrend line is very limited, they have a small selection of products which is actually good because the quality here is over quantity. Even if Wishtrend as a company seems to be huge and they work on several different platforms like Instagram and Youtube! Design: Polyphenol in Propolis AmpouleThe design of the whole By Wishtrend brand seems to be minimalistic and professional. 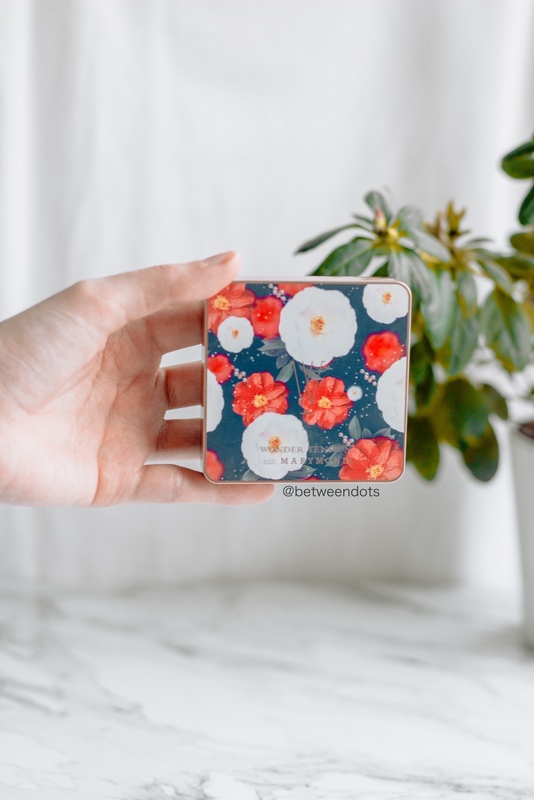 What I like about this design is that it reminds me a lot of Vitamin C serum from By Wishtrend - actually, this duo goes well together and it is recommended to use them both during the same routine! The packaging is so pretty - this gold colour that looks like honey! The pipette works well, it's easy to apply the product even straight onto the skin. We can talk a lot about the design but what we can find inside? How do I use By Wishtrend Polyphenol In Propolis 15% Ampoule to get better effects?So how does the ampoule work? The formula is bit sticky but it's not annoying and usually, under the layer of moisturizer, you can't feel it. Propolis ampoules shouldn't be used by people with an allergy to bees so keep that in mind that not everyone should use it. I've been using this ampoule over a month and using it alone gives nice results - the skin is hydrated and feels like it helps with acne but there's a way to make it even better - I mix it with couple drops of Klairs Blue Youth Activating Drop - I wrote about it before, it's a peptide serum. Propolis, Polyphenols and Peptides? I guess 3P is the answer to flawless skin. Or almost flawless... I can't say that my acne is totally gone because it's not and I'm aware that stress, bad diet and using many different products due to my studies are the reason why I break out a lot but I see the difference in the amount of acne. I also use this trick with a sheet mask where I put the ampoule under the sheet mask to get better effects. You can use it alone or even mix it with serum or cream - don't be scared of experimenting with it. By Wishtrend ampoule surprised me a lot, not only with formula but also with the design and how quickly I (or I should say my skin) got used to it. Do I recommend it? It's not my must have but it's a propolis serum which I can recommend. COSRX is a brand that quickly became a Holy Grail brand of many bloggers and youtubers - snail essence, galactomyces essence and acne patches are some of the favourites. Personally, I can't exist without COSRX acne patches, they are amazing - as long as you know how to use them. Even if the popularity of COSRX is huge still there's a group of people that want COSRX to remove essential oils from the formula - not every skin likes EO and I can totally understand it. Lately, I started to like unusual formulas and textures, COSRX Light Fit Real Water Toner To Cream is one of them because it looks like a cream and it turns into water. But is this a cream or toner then? It's both, according to COSRX it's an extra moisturizing toner for dry skin while oily skin can use it as a lightweight moisturizer. I use it as the last step of my routine as a moisturizer. The design fits COSRX well - huge white packaging with the name on it and a nice pump. It's not a travel-friendly product because it contains 130 ml of the product but the bottle is huge. You can't really see how much of the product is left but the packaging itself feels light even if it looks massive. Water and Sea Water are a base of this product, Sea Water contains more minerals than regular Water. Cyclopentasiloxane is an emollient and silicone. You shouldn't be scared of it, in fact, this silicone evaporates from the surface of the skin quickly but before that happens it moisturizes the skin and it makes formula easier to spread on the skin. It gives skin nice healthy look and it's not comedogenic. Cyclohexasiloxane - another silicone here works similar to Cyclopentasiloxane. The formula wouldn't be full without Natural Moisturizing Factor (NMF) - Glycerin, it's one of the most popular humectants (better known as moisturizers). Both, dry and oily skin will enjoy this ingredient. I'm happy to see here Niacinamide. Niacinamide is also known as vitamin B3, an ingredient that can help with collagen production which makes it a helpful ingredient for mature skin, it also boosts the synthesis of ceramides which makes it ideal for skin barrier and it works amazing on acne-prone skin and post-acne problems with skin like pigmentation, in general, it's a brightening ingredient with a superpower. Hippophae Rhamnoides Extract seems to be ignored but Sea Buckthorn is better for your skin than you might suspect. It's a source of Vitamin C. It is told that Sea Buckthorn Extract is a hydrating and soothing and nourishing ingredient, especially good if you have problems with visible facial capillaries (blood vessels). COSRX Light Fit Real Water Toner To Cream is a moisturizing toner/cream so Sodium Hyaluronate seems to be a must in this formula! It's a humectant and ingredient very similar to substances that naturally occur in the skin. Betaine is an amino acid which I see in products a lot lately, it's another humectant but this one is derived from beets. But can you believe that COSRX hidden Salt in this product? Sodium Chloride is nothing else than Salt. Salt seems to be this painful ingredient which you hate to put on a fresh wound, hopefully, in this formula, you won't feel it at all. It's a thickener and masking ingredient - to make sure that product won't smell bad. If you need more moisture then Butylene Glycol is here for you. There's another silicone on the list Cetyl PEG/​PPG-10/​1 Dimethicone, somehow people are scared of this even more than being scared of clean Dimethicone. It's an ingredient that makes sure that your skin is hydrated and water won't evaporate quickly but it also gives a nice smooth feeling of the skin. Ethylhexylglycerin is a preservative and a weak moisturizer. Last but not least - Citrus Aurantium Bergamia (Bergamot) Fruit Oil, an essential oil which can be bit sensitizing so if you've got a sensitive skin - please, patch test it first. Actually, this ingredient gives a delicate scent to the product. How much moisture is hidden in COSRX Light Fit Real Water Toner To Cream? The ingredients are not complicated but we can clearly see that this product is all about hydration and keeping the moisture inside your skin. I tested this toner/cream with Wayskin and yes it works. I used it as a moisturizer, I used it without additional toner as well and I'm surprised how quickly it melts into the skin and how long it stays inside and just to mention - I've been testing it during the winter so it's going to be even better for summer. COSRX made it again - a product that works for different skin types and skin concerns. This product brightens the skin, won't cause acne but in fact, it can help with acne and it's ideal for dry skin but also oily skin. According to COSRX, it works well with makeup and I can totally agree with that because I'm using it as the last step of my routine (when I go out to school which is located 2 minutes walk from my house and after that I usually have to wash my skin again - that's how cosmetology looks like) but also before SPF. It's a product recommended for young skin that doesn't need a massive number of active ingredients. I also love that COSRX introduced this product as a moisturizer but when they measured it for a commercial, it didn't give the skin max moisture - the moisture level was medium, I saw the same situation with Wayskin - the moisture level didn't get to max quickly and then decreased to less than 40% (from 99%) but got from about 89% to around 57% which is a good number. The scent is delicate, ideal for sensitive skin. If you have dry skin then I guess using COSRX Light Fit Real Water Toner To Cream with COSRX Balancium Comfort Ceramide Cream is a good idea. I had no comedogenic or allergic reactions to the skin and I feel like COSRX Light Fit Real Water Toner To Cream is going to spend more time at my home just like COSRX Balancium Comfort Ceramide Cream still do. The regular price of COSRX Light Fit Real Water Toner To Cream is $21 on Jolse, but at the moment I've checked it, it was discounted to $16.80 for 130 ml. The product seems to last for a long time because a small amount is enough to cover the entire face. Is it worth it? I think yes. Have you ever tried COSRX products? What's your favourite COSRX product? I wish it would turn into wine instead of water but it's like with this song - you can't always have what you want. Still, Water instead of a Foam can be a dream of many people and it sounds like a mild cleanser. You're not wrong Lagom CellUp Gel to Water Cleanser is a mild cleanser with pH 5,5 aka perfect pH for acne-prone skin. pH 5,5 helps us balance the skin if your skin's pH level is around 5,5 then it's a healthy pH and your skin is slightly acidic but that's actually good! I also saw information that this cleanser has pH = 6,2 and I honestly don't know which version is true because I have no tester - I can't get it in a drugstore, I have to order it so during all this period of time I totally forgot to order it for the test. Before we look at what's inside this foam we need some design. The design has a huge meaning because we need clear information on the concept, Lagom did it well - this foam looks like an iceberg and I guess Sweden has some icebergs. The name is a Swedish word and in general Lagom = minimalism, just like the word meaning "just the right amount", while the brand slogan says "not too little not too much". What's inside Lagom CellUp Gel to Water Cleanser? Let's go straight to ingredients because I think it's the most interesting part. It's not a surprise the INCI starts with Water, but then next is Glycerin, a Natural Moisturizing Factor (NMF). I'm aware that some people freak out when they see Glycerin but this ingredient is one of the most common moisturizers and you shouldn't be afraid of it - it is way better for your skin than you might imagine. Butylene Glycol seems to me as another ingredient which I see everywhere. It's a moisturizer that enhances penetration of the product. Is this needed in cleansing product? But Lagom Cellup Gel to Water is not only about moisturizers but also emollients such as Hydrogenated Polydecene, an ingredient ideal for sensitive skin and baby skin. It's delicate and it gives this velvet feeling on the skin just like Cetyl Ethylhexanoate. Another emollient is Cetearyl Alcohol and I'm aware that Alcohols are quite controversial but you shouldn't be scared of them. Drying alcohols like Alcohol Denat exist but there are also good alcohols like Cetearyl Alcohol - it's not only an emollient, it's a stabilizing substance as well. Are we done with emollients? Obviously not! Caprylic/​Capric Triglyceride is another one on the list. Then we got Hydrogenated Lecithin. Some of them have no colour and scent which makes them ideal for sensitive people. We will go back to emollients soon. This formula is clearly good for sensitive skin so Panthenol shouldn't be a surprise. Panthenol is also known as provitamin B5. A soothing moisturizer, it can be used on inflamed skin. The next ingredient it might be scary because it's long - Polyglyceryl-3 Methylglucose Distearate. An emulsifier derived from veggies. Are veggies that scary? But the heaven for sensitive skin has to end and it's this moment. Citrus Aurantium Bergamia (Bergamot) Fruit Oil has an amazing smell and I personally love it but not every skin will love it so please remember about patch test before you use it. It's not the only perfuming oil used in this formula, next to Bergamot Oil, we can find ingredients such as Citrus Limon (Lemon) Peel Oil, Citrus Nobilis (Mandarin Orange) Peel Oil and Citrus Aurantium Dulcis (Orange) Peel Oil. Some of them are milder than others but still make sure you test the product before using on the entire face. On the other hand, we've got here Simmondsia Chinensis (Jojoba) Seed Oil. Jojoba Seed Oil is very similar to our sebum that's why skin loves it, still, we cannot suspect that every skin will react to each ingredient the same and it might be comedogenic. Myrothamnus Flabellifolia Callus Culture Extract is quite unique ingredients. The plant called Myrothamnus is a plant which you can see in South Africa. It's also known as the resurrection plant or poikilohydric plant because it can survive in a very extreme environment. This plant can be dead but once it starts to rain the plant is alive again. It is told that this ingredient has moisturizing properties and it makes skin radiant and looking healthy. Cymbopogon Schoenanthus Oil also known as Lemon Grass Oil, it's an essential oil, a perfuming ingredient with antibacterial and antifungal properties but it can be not the best choice for sensitive skin. Next is Hydrolyzed Vegetable Protein, pH balancer and Macadamia Integrifolia Seed Oil - Macadamia Seed Oil, an emollient and moisturizer. Oily skin might not like it. Dimethicone is another ingredient that people don't like because it's silicone. It's an occlusive ingredient that can be comedogenic but similar to alcohols - not all silicones are bad, this one is not only occlusive but it's also an emollient. Hydroxyacetophenone is an antioxidant on this list and Hydroxyethyl Acrylate/​Sodium Acryloyldimethyl Taurate Copolymer is a stabilizer. We can also find here Synthetic Beeswax which is a clever move because there's a huge group of people who don't want to use natural Beeswax. If you still need more moisture then Sodium Hyaluronate is here for you, just like Vitamin E - Tocopherol, an antioxidant and natural preservative. Surprising for me, we can find here Ceramide NP as well. The ingredients aren't that short but is this weird product worth a try? Yes and no, it's definitely a product which you can use during the morning or if you use multi-step cleansing so, for example, you use micellar water, emulsifying oil cleanser and then this cleanser because it's a delicate cleanser. If you want to remove heavy makeup with only this product - good luck, it might not be enough or you're going to use more cleanser than you expect. The texture is really weird and it doesn't change into a foam. If you mix it with water you won't see it - it completely disappears. The face is clean but not dry and that's a good thing because dry skin would tell me that this product might be too strong for my skin - you don't want to dry out your skin because if the skin doesn't have this feeling of hydration or some delicate kind of "oiliness" it might end up with your skin producing even more sebum to "save" skin from dehydration. The packaging is really nice, you can see the level of the product and when you need to change it. It's not a product that lasts over 6 months but one tube (220ml) of Lagom Cellup Gel to Water Cleanser should last about 3 months of daily use. According to Skinsider, this product got sold out the first day after it got launched in the US. My skin is sensitive but I didn't react to this oil even if it has lots of essential oils still be careful and patch tests it before using it on the entire face. If you have lots of fresh wounds then you can feel it in such spots but personally, I had no bad experience with this cleanser. This cleanser can be used instead of oil cleanser - if you don't use heavy makeup/makeup at all and it can be followed by Lagom Cellup Micro Foam Cleanser - a cleanser which I'm going to review for you soon. Lagom Cellup Gel to Water Cleanser costs £20.00 on Skinsider. I won't tell you if this is a good or bad price because everyone wants to spend a different amount on a cleanser but it's definitely a product you want to try at least once in your life. Have you ever tried any Lagom products? Is this a lemon or mandarin? Is this a lemon or mandarin? Yuja is neither lemon nor mandarin, but I can't deny - it looks like a combination of both. Yuja is a Korean word for a fruit which is called Yuzu in Japan, it's a fruit bit bigger than mandarin - some can even look like grapefruit. The roots of this fruit come from China but in Japan and Korea, Yuzu or Yuja became popular during the Tang dynasty and since then you can find it in local cuisines of both Japan and Korea. Lately, Yuja became popular in other countries as well - it might be not the cheapest fruit but if there's an occasion to try it then just do it. But why Hanyul decided to choose Yuja over other ingredients full of Vitamin C. Couple months ago Calamondin also known as Calamansi was quite trendy and some brands like The Saem decided to release products inspired by this trend. So maybe it's time to give a chance to Yuja? Hanyul is not the only brand that used Yuja in a product - Skinfood and illiyoon did that as well. Hanyul's choice of using Yuja oil in a product shouldn't be surprising - Hanyul is a brand which we can clearly classify as a Hanbang brand because the main inspiration of Hanyul is Korean traditional medicine. Hanyul is not scared of using folk remedies used by women for ages. The brand is drawing inspiration from nature by using ingredients known in Korea for ages. Besides Yuja, Hanyul offers product inspired by ingredients such as rice, artemisia, red beans, brown pine needles and other local plants. The Yuja line is quite small and young - besides Yuja Oil, there's Yuja Sleeping Mask, Yuja Sheet Mask and Yuja Toner. The thing that really got me with this product is the design. I can't deny that design of Hanyul's product is 10 out of 10! They had a great coherence between product design, the idea behind the brand and photography content which you can see on Hanyul's Instagram or website. Somehow the packaging feels to me like it was inspired by Pantone. What's original - the packaging has two different sides - one with Korean name of the brand and product and second - with English translation. There's also instruction in Korean and English translation - that's bit unusual but I guess the non-Korean speaking customer is going to choose this option over full Korean packaging. Inside the box, we can find a yellow bottle made out of the glass with a pipette. The bottle contains 30 ml of Yuja Oil. On the bottom part of the bottle, you can find information that this oil should be used in 12 months and stored in 10°C-30°C (50°F-86°F). The Yuja Oil can be used on its own or with Sleeping Mask and Sheet Mask, I tried it alone. According to the instruction Hanyul attached to the packaging, the Yuja Face Oil should be used as the last part of the skincare routine and 1-2 drops are enough to cover the entire face. The oil is moisturizing but also whitening and relaxing. And I can totally agree - the scent is incredible and when we look at ingredients you'll understand why, so let's take a look. Do you see here any artificial fragrance? No, there's none and that's the biggest plus of this oil - the scent is very pure and I enjoy it - it's sweet and sour, very similar to lemon with a hint of bitterness. The scent disappears after about 15 minutes but for some people, it might be too weak or too strong, in my opinion, it's a relaxing scent. Because Yuja is a citrus fruit I would recommend you to do a patch test before you try it - just to know if you've got any allergic reactions to Yuja or other ingredient found in this product. The ingredient list is quite short in comparison to other skincare product but I clearly saw oils with fewer ingredients. I wouldn't use Citrus Junos Peel Oil in 100% concentration so I think it's better that there are more ingredients because you're going to be surprised with some of them. The oil doesn't leave the skin oily, it literally melts into skin leaving the healthy glow on the skin. You can't feel the oiliness under your fingers - all you can feel is this velvet 'aftertaste', the skin feels ultra soft and firm. The secret of (non-) oiliness is Caprylic/​Capric Triglyceride. I was fully surprised that the first place takes an emollient. The magic of Caprylic/​Capric Triglyceride is this feeling it leaves on the skin - soft like silk. It has no scent so it's a good 'transferring' ingredient for other scents. 2nd place is also taken by ingredient similar to Caprylic/​Capric Triglyceride, also an emollient but this time it's called Dicaprylyl Carbonate. The properties of this emollient are literally the same as Caprylic/​Capric Triglyceride - makes skin soft, firm and nice in touch, you won't be able to stop touching your face - this might be a small disadvantage since we are not supposed to touch the skin all the time so remember to clean your hands before you touch your skin to make sure if the oil works as it should. If your skin is dry then I would really look up to Dicaprylyl Carbonate because it might be helpful with Transepidermal Water Loss (TEWL). I can't say that I was 100% sure that I won't have a comedogenic reaction to Hanyul Yuja Oil, there's an ingredient I was a bit afraid of - Pentaerythrityl Tetraisostearate. Even if the comedogenicity scale is not a legit way to check if your skin is going react because skin's reaction is an individual thing, it might be a key to figure out what can be the key of the reaction to the product. It's another emollient on a list so this ingredient will make your skin moist and soft in touch. The ingredient that follows Pentaerythrityl Tetraisostearate is Helianthus Annuus (Sunflower) Seed Oil, it might not be a Korean traditional ingredient but for sure it's an ingredient which I know since I was a child because Sunflower Seed Oil, just as sunflower seeds are taking an important place in Slavic culture. When I was a child every building had a staircase full of sunflower seed shells. Halva - a dessert which is typical for Eastern Europe but also Western Asia is usually made out of sesame seeds but in Ukraine Halva is made out of sunflower seeds so this ingredient is really special for me. But does Sunflower Seed Oil has any meaning? It's another emollient but because it's an oil what matters the most to us is linoleic acid to oleic acid ratio. Linoleic acid dominates oleic acid in Helianthus Annuus (Sunflower) Seed Oil and that's good news for acne-prone skin because acne prone skin is not a fan of oleic acid, it feels better in linoleic acid. I was surprised - in a positive way - to see Squalane in the formula. There are two ingredients which we usually mistake - Squalane and Squalene. The difference of Squalane and Squalene is in the structure. Squalane is a more stable form, usually made out of olives. This ingredient is usually liked by the skin - it's pretty rare to see skin reacting badly to Squalane. It's a great moisturizer but you don't have to worry, it won't make your skin oily and the feeling on the skin is similar to Caprylic/Capric Triglyceride and Dicaprylyl Carbonate. It helps prevent Transepidermal Water Loss (TEWL) and makes your skin soft. Talking about Dicaprylyl... there's a second ingredient Dicaprylyl Ether - another dry emollient. Another oil on the list is Ricinus Communis (Castor) Seed Oil - I don't know why but it seems like people freaks out when they see Castor Oil just like when they see Mineral Oil, but do you know that Castor Seed Oil is usually recommended as a natural substitute to lash conditioners? Ricinus Communis (Castor) Seed Oil is the first (and hopefully last) oily emollient. This oil is quite popular as a base of oil used in the Oil Cleansing Method (OCM) - at least the recipes for homemade cleansing oils I saw were based on Castor Oil. Hanyul Yuja Oil contains 3,000 ppm of Citrus Junos Peel Oil - a star ingredient. I won't disagree, this oil really has an aromatic, relaxing scent - ideal for aromatherapy. It is told that Yuzu is an antioxidant and it can be helpful for mature skin. It's high in Vitamin C so it's useful if you have problems with pigmentation or dull skin. What has Yuzu and Carrot in common? Daucus Carota Sativa (Carrot) Root Extract is not oil made out of carrot but a Carrot Root Extract mixed with other oil that can work here as a transferring oil. It's nothing else than Beta-Carotene, this ingredient is usually recommended for people who plan to get some suntan during the summer - it gives the skin nice colour (still I do not recommend to go out without SPF). It's an antioxidant, it makes skin soft and it's good for wrinkles. Hanyul Yuja Oil has Beta-Carotene too - it's also an antioxidant and it gives colour to the product, Hanyul Yuja Oil has a yellow colour so you know now that Hanyul decided to go natural instead of using fake colourants. I'm not surprised at all to see Tocopherol, also known as Vitamin E, the mix of Vitamin C (which we can find in Citrus Junos Peel Oil) and Vitamin E is the best combination ever if you want to brighten your skin and protect it from negative effects of UV. It's an antioxidant and natural preservative. And last but not least, Glycine Soja (Soybean) Oil, the oil I'm personally not a fan of because it's Soybean and my relations with this ingredient is not always as good as skincare and food producers think. It's a natural emollient, oily skin should love it because it's mostly made out of linoleic acid and it contains Vitamin E.
Is Hanyul Yuja Oil effective? The ingredients looked like it'll take 5 minutes to talk about them but they took longer, it's normal but now let me focus on the right part and the part that I guess you're most interested in and you've been waiting for it for ages - so is Hanyul Yuja Oil effective? Is it worth a try? I haven't tried the other products from this series but this oil made me sure that I need to give Hanyul another chance and try rest of Yuja series, especially that couple weeks ago Hanyul released new product from this series - Hanyul (Moonlight) Yuja Toner. On the other hand, have you seen a commercial for this series? It's ultra cute! I also found Handcream + Body Cream set from this series and I hope that this series will have more interesting products because Hanyul Yuja Oil dethroned my favourite skin care oil - Korres Wild Rose Oil! My over 2 years long love to Wild Rose Oil is done because I do not like heavy scents anymore. Yuja Oil fits my skin the best - it works with my skin in harmony, I can even use it instead using a moisturizer or with a very light moisturizer. The oil is not oily at all, it gives the skin velvet feeling but I do not think that you can use it during the morning routine because in general oils + foundations are sometimes a recipe for a disaster. It's way better for the evening routine. If you follow my Instagram then you probably know how hard February was for me - I had problems with the skin after using shampoo (that's why after using a shampoo remember to clean your skin with a good cleanser aka pH=5,5 cleanser) so I wasn't able to see full effects of this oil but what I can really observe (and measure) is that my skin is lighter and it's really moisturizing even if it's dry in touch. My skin doesn't like the sun so I think that small amounts of Beta-Carotene and Daucus Carota Sativa (Carrot) Root Extract in this oil will help my skin get used to the sun even if I do not plan to go out without sunscreen on. It's definitely an oil which you can use on young skin, I'm not sure how it'll work on mature skin but I'm sure it's not a bad product still for some people the dry feeling on the skin might not be enough - I like my oil dry while some people like to swim in the oily feeling on the skin. Acne-prone skin and oily skin will love this. But what about the price? 30 ml of this precious Hanyul Yuja Oil costs $35.07 on Jolse but the moment I wrote this review the price was $28.06. It might be a lot but during over a month of testing this oil I used a very small amount of it and I guess I'll need at least 6 or 8 months to use it all. You might not be a fan of Lemon but I'm sure Yuja is an ingredient which you have to try (as long as you're not allergic to Yuja). Have you ever tried Hanyul? What do you think about this oil? I'm aware that not everyone knows who Joan is. Joan Kim is a Korean American youtuber and vlogger, I started to follow her vlogging channel about 2 years ago and quickly watching her vlogs started to be my daily routine just like skincare. Is there anything better than mixing lifestyle and beauty? No! It's the best composition ever, I barely mention this because lately, I've been focusing on skincare/beauty (due to my studies) but healthy skin is not only all about layering the products but mixing skincare, lifestyle, diet and other components to balance your life. The collaboration is a huge surprise but an even bigger surprise was the idea that Joan had - putting 2 different products in 1 might sound like a bad or good idea because every skin is different and while one formula can work, the 2nd formula might not go well with your skin. P.S. Jokes on me but somehow I can't find any photo on my drive of full product and packaging so I'm bit sorry but you can see how amazing the texture is! Putting two products in one jar is clever - it takes less space in your skincare closet but there's one thing that irritates me in this packaging - the lid! Oh God, trying to fit the lid is the worst thing ever so my suggestion if this packaging is going to be upgraded (at least I hope it'll be) - two separate lids for two formulas is a better idea but at least the whole lid problem taught me one thing - mixing both formulas together. Two different formulas, two different textures and two different scents. The day cream is thicker, more creamy and it has a light green colour. It has a powder scent - very subtle, I think that comparing the scent to the baby product is on point. I guess it's a scent of green tea. The second formula is more like a gel and it smells like lavender, even the shade of the cream reminds of the lavender. There's one thing I don't like about this cream besides the lid - two different formulas that share some ingredients but I'll later tell you about one trick with the formulas. The day cream is called Joan Day, just like in Joan's vlogs. The main moisturizer in this formula is Glycerin, I don't know why people sometimes try to avoid Glycerin, in fact, it's a useful moisturizer which we shouldn't avoid but this ingredient is not our main star. The main focus in Joan Day formula is on Camellia Sinensis Leaf Extract and Ascorbic Acid. Green Tea Leaf Extract is an antioxidant while Ascorbic Acid is nothing else than Vitamin C - a good brightening ingredient. Even if this cream won't help you with pigmentation, it should brighten your skin. Allantoin, Sodium Hyaluronate and Panthenol is a good mix of moisturizers and soothing ingredients. I'm aware that there are some ingredients that people avoid - PEG-100 Stearate, Palmitic Acid and Stearic Acid, personally I'm not a fan of Palmitic Acid and Stearic Acid because I had problems previously with this duo because they can be comedogenic but every skin is different just like every formula is different and somehow in this formula my skin didn't react to the cream. Night cream has some ingredients in common with Day cream but it's a totally different formula. The most surprising ingredient for me is Cyanocobalamin - at first, I thought it's a pigment because of the name but nope, it's a form of Vitamin B12, used in skin care due to its anti-inflammatory effects. The main stars where is Lavandula Angustifolia (Lavender) Oil and Tocopheryl Acetate (aka Vitamin E). Vitamin E is a preservative and moisturizer while Lavender Oil is an antibacterial oil with the scent that can be really relaxing - that's a clever move since lavender can help you if you have small problems with sleep but it's also a risky move - lot's of people are allergic to this oil. Even if Night cream seems to be a bit more boring or different than other moisturizers by the formulation, somehow I like it more than a day cream. Is mixing two formulas together work? Water, Cetyl Ethylhexanoate, 1,2-Hexanediol, Glycerin, Dimethicone, Ammonium Acryloyldimethyltaurate/VP Copolymer, Ethylhexylglycerin, Gardenia Florida Flower Extract, Maltodextrin and Disodium EDTA. Mixing both formulas don't really work - at least for me it wasn't a good idea, I would recommend to you sticking to one cream in each routine. How does Neogen Vita Duo Cream work? I guess this is a first Neogen's moisturizer in cream and so far I like it. Each formula is different and I have to talk about it like about two different creams. Night Cream is my favourite - it's like with having two kids, there'll be always a kid which you like more and Night Cream is definitely a one which I like more - it has this lovely pastel purple scent and lavender scent, I also cannot ignore the fact that the cream is more lightweight and it seems ideal for the summer. During the winter the formula is a bit too lightweight for winters I'm used to - full of low temperatures and snow, even if in my area I got 2 days of snow max and it's not as cold as I remember the weather in my childhood. The day cream is more moisturizing and it has pastel green colour but on the skin, it doesn't work as colour correcting treatment and it's totally fine since it's not sold as colour correcting treatment but usually a green shade of cream is related to cover the redness of the skin. The cream is thicker but as moisturizing as a night cream. The scent is more like a powder or some delicate perfumes. I didn't see Fragrance in both formulas and that's a good thing as well. The green cream might need some time before you put sunscreen on and there are some sunscreens which don't like this formula but the sunscreen I tested on this cream didn't like a majority of my moisturizer so I do not consider this anymore as a bad thing. I can't say that this duo as one product is the best moisturizer I've tried because it doesn't make dramatical changes in my skin - in a positive way. But I also cannot deny it's a good moisturizer, I guess that I'll have to wait for summer because it seems like it'll work better on my skin during warmer parts of the year. The cream costs $32 and it's available at Sokoglam but also many other K-beauty shops. Together this cream has 100g - 50g of Day formula and 50g of Night formula. I've been using this cream for more than 30 days and I guess this cream is enough for 4-6 months of using the cream even if you can use it for 12 months after opening. Overall, it's not a bad cream and I'm sure that if you're a fan of Joan you have to try it. What do you think about Neogen Vita Duo Cream? What's Althea?Althea is an online store full of K-beauty brands but they also have their own line of skincare, do you remember Althea x Get It Beauty Real Fresh Skin Detoxer series? I made a post about them in December but Althea has way more products now - even makeup! In a box which I got from Althea, I found products like concealers, eyeshadow palette, lip tints, glitter eyeliners but also toner, body mist and skin relief patch. In this post, I'll share with you easy makeup which I'm sure you'll be able to use on Valentine's Day and tell you a bit about products. Unfortunately, I have an allergic reaction to eyeshadows - it happens with many different brands including expensive ones so the tutorial will be mostly based on old makeup look I did which was very delicate and it's a great base to show you where I applied eyeshadows. A base for makeupWe need a base for makeup and I'm not talking about primer or cream - we need to clean the skin first, use toner - Althea's Pore Purifying Serum Cleanser will work well. I can share with you first pro tip: if you have rayon pads then soak them in toner and put on your face for 5 minutes instead of a sheet mask. Then you can use the rest of your skincare and sunscreen - I use Althea's Petal Velvet Sunaway couple months now and I plan to post the review of it later this month because at first my relationship with it wasn't that good but then everything turned well. If you have problems with acne then Skin Relief Spot Film Gel can be helpful - you just need to apply a thin layer of the film gel on the pimple and leave it for about 5 minutes to change from sticky formula into a film formula, this way your pimples are protected from the environment but also the ingredients in formula care about your pimples and make them smaller. I would also recommend you to use lip balm - this way when we apply lip tint, lips are going to seem softer. FaceWhen we have the base then we put makeup on - use your favourite foundation, bb cream or cushion. I always apply makeup on my face, lips and sometimes even on my ears if the difference between face and ear is too big. The next part is concealer - we always put it on eyes, near eyebrows and between them, near the nose and near lips. I made a small sketch to show you all the important places to put concealer on and blend it. I used Flawless Creamy Concealer, this concealer is available in 4 different shades - #01 Vanilla, #02 Ginger, #03 Honey and #04 Mocha. Usually, if we select concealer, we go for a shade bit lighter than the skin. In my case #01, Vanilla is very similar to my skin colour, it's always better than too dark concealer. Ginger seems to be great for contouring. Concealers are creamy and easy to blend, coverage is good and they don't seem to fill in wrinkles. In the upper eyelid, the concealer might make a crease - blend it with a finger before applying eyeshadows but before eyeshadows, we still need to apply powder - even if I like the glow, to make makeup stay longer on my face I apply powder. Althea has 3 different shades of powder - Petal Velvet Powder in shade #0 Translucent and #23 Warm Beige but also #Pink Lavender - which I use as a blush. If you're pale then Pink Lavender and Warm Beige are ideal for contouring. EyesThe next step is eye makeup, this part is going to be the longest. Before we start using makeup let me tell you more about eye shape and how to apply makeup according to eye shape. My eyes are very small so usually, Asian makeup trends work for me better than Western trends, if you have big eyes then you can experiment more with makeup. The palette used in this makeup is Althea x BCL Sunrise & Moonshine palette, it's a palette made in collaboration with BCL. Eyeshadows don't have names, they only have their numbers so to make it easier I called some shades but also gave numbers which you can also check on a photo where you can put each number. On the entire eye space - upper and lower eyelid but also under the eyebrow we put the lightest shade of the eyeshadow which I called "BASE". After this step, the eye shape is going to be very important, we need to put eyeshadows near an orbital bone. I see this mistake a lot and I can admit I used to do this a lot with Western eyes - putting eyeshadows in a crease instead of putting it on the orbital bone. The orbital bone helps us to create the eye shape but it also makes easier to apply makeup. Look into a mirror and keep your sight straight, you should see that open eye has some space between crease and eyebrow, I don't put that line straight from the eye corner but I make an open composition. I mark this space with a bit darker eyeshadow (eyeshadow 1) to know how much I can do with my eye. Below I took an old photo from times when I knew nothing about makeup but I think it's the best photo to show you where my orbital bone is and where I need to stop putting makeup, it's the same place which I marked as 1 & 3. With Asian eyes, it's going to be tricky at first and I'm sad that I have no model for this makeup because this technique works on Asian eyes as well and I even guess it makes it easier to apply makeup. Next part is to cover the lid with pink eyeshadow (2), on the photos the eyeshadow is going to look red but that's because I take photos without additional light, I'm trying to avoid putting eyeshadow in a crease and inner corner of my eyes - with my eye shape putting too much eyeshadow in inner corner changes a lot and it's not always a good change, if your eyes are too close to each other - avoid this, but if you have lots of space and you feel like your eyes are separated from each other then adding colour to the inner corners - especially darker colours like pink can be a game changer. I use two layers of eyeshadows, they are very easy to apply, you can ever use your fingers for better effect. The next step was adding the purple eyeshadow (3) on the lower lid and on the orbital bone like - the one we made before. Blend it well, it shouldn't be a problem - if you do makeup for photos just like I did, you'll always need to put extra amount so the camera doesn't 'eat' the colours. Next step should be an eyeliner - this is a part which I'm not going to focus on since dark eyeliner was not in a set I got from Althea and that wouldn't be fair to promote other brand if this post is made in collaboration with Althea. I used Althea's Spotlight Eye Glitter in shade #01 Gold Light, the #02 Pink Light Eye Glitter can be used on eyeshadow while the #01 Gold Light worked for me better in the inner corner - especially on the lower eyelid and to be a bit extra and put the glitter around the wing. The last step with eyeshadow - I used two glitter eyeshadows from the palette - named on a photo as "GLITTER" with a finger on my lid in both looks. The last step should be mascara and white or beige eyeliner in the waterline - it changes a lot even if it's one of the most uncomfortable things to do in makeup, believe me, once you get used to it, it won't be a problem. Just to mention - the photo of eye palette in natural light is the one with numbers, with the light it looks like the 2nd photo. Lips Althea's Watercolor Cream Tints at first seemed to me to be a bit too dark but somehow I ended up using them every day - we primed our lips first with lip balm and foundation so the tint should look really soft on the lips. Normally, when I do makeup, I need to put lipliner first and then lipstick or tint but in this makeup, I tried to make a gradient look - you can mix 2 different colours or just like I do - put one colour in the middle of the lips and dab it from the middle to the lip line with a finger. Do not do this weird lip thing that people usually do to smudge the formula all over the lips - yeah it'll smudge but not only on lips but around it as well. #03 Peach Cream and #04 Marron Cream are my favourites, but I can't deny #01 Plum Cream and #02 Strawberry Cream are pretty as well. I didn't contour my face, I wanted this makeup to be pretty easy and I hope that even some of my tips will be helpful. All the products I've mentioned are available at Althea - since Althea made it possible for me to share this post with you I didn't mention what foundation I use, eyeliner, mascara, etc. How does the cost of the makeup on Althea look like? The base of the makeup - Pore Purifying Serum Cleanser costs $8, Petal Velvet Sunaway $10 and Skin Relief Spot Film Gel costs $4.50. Petal Velvet Powder costs $4.50 but you can get Sunaway sunscreen with Petal Velvet Powders as a set for $13. Watercolour Cream Lip Tints costs $5 each but you can get a set of four for $18. Flawless Creamy Concealer costs $4 each and the Althea x BCL Sunrise & Moonshine palette is not available yet on US website, but on Malaysian version of Althea, it costs 140 MYR so it's about $35. Spotlight Eye Glitter costs $5.50 each. I hope you like this tutorial, let me know if I should post more makeup posts.